KFC has been going through a veritable parade of celebrities to play the chain's founder, Colonel Harland Sanders. 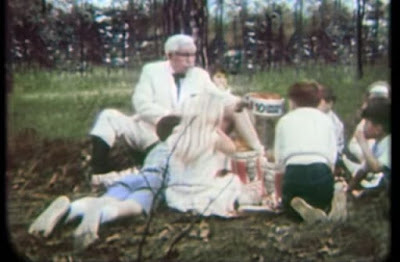 This time around they've gone with the actual Colonel Sanders to play himself using old footage with digital alterations. Specifically, they've taken KFC advertisements from the '60s and '70s and added a few things here and there including splices of some new, modern footage. 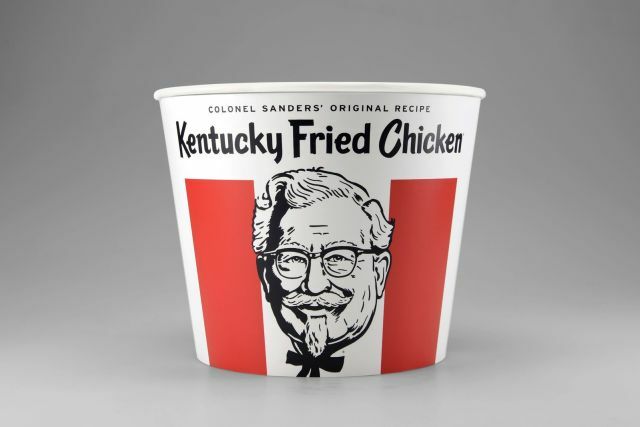 Additionally, the fried chicken chain celebrates the 60th anniversary of its iconic KFC bucket by debuting a new heritage rendition of the bucket featuring a cartoon of the Colonel's face.